I didn't see this rumbling juggernaut coming. Jumping Jack are heavy rockers from France, of all places. Not that that's odd, since music is universal in the Internet and digital age, just unexpected. Can't imagine this power trio sipping Perrier. Trucks & Bones is their full-length album debut. 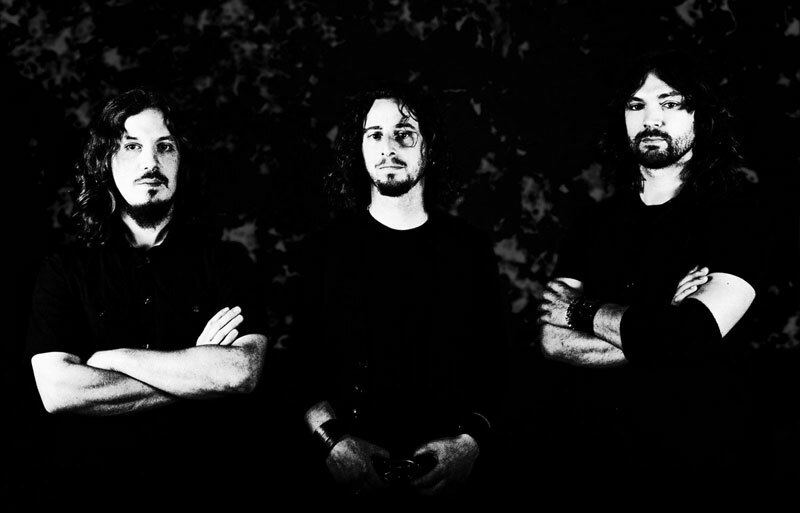 Above, Jumping Jack: les hommes en noir. And it's packed with a fuzz busting blur of heavy rock and metal, sometimes with a stoner slant. Generally, the atmosphere is dark and brooding, but with a keen sense of melody; if there's liveliness, it only comes when the pace quickens. Mostly, Trucks & Bones is simply heavy, dense like overcooked oatmeal for breakfast. It's not that they can't rock. There's some good grooves in the friendlier Crystal Tree, She Made No Resist or F*cking Holiday, but elsewhere also. Ultimately, the heaviness of Jumping Jack is both their blessing and curse. Unless you're willing to be patient and consider each song on it's own merits, you won't here the nuances within the arrangements, as in Wet Desert, Drunk Peanut, or Neverth (possibly the best cut here). All you'll hear is redundant heaviness, and you will be missing the point. But this posits the theory that you dig heavier rock, bordering on metal. A simple suggestion: don't take Jumping Jack for granted and give the songs a chance. While the constant rush of freight train heaviness gets dangerously monotonous, Jumping Jack does quite well in the theater of heavy rock. Check it out. 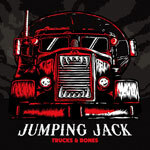 Jumping Jack's Trucks & Bones is a full platter of heavy rock, non-stop and basically in your face from the start.